Las Vegas plans to keep accelerating toward the future of transportation, banking on self-driving vehicle technology as the driver. 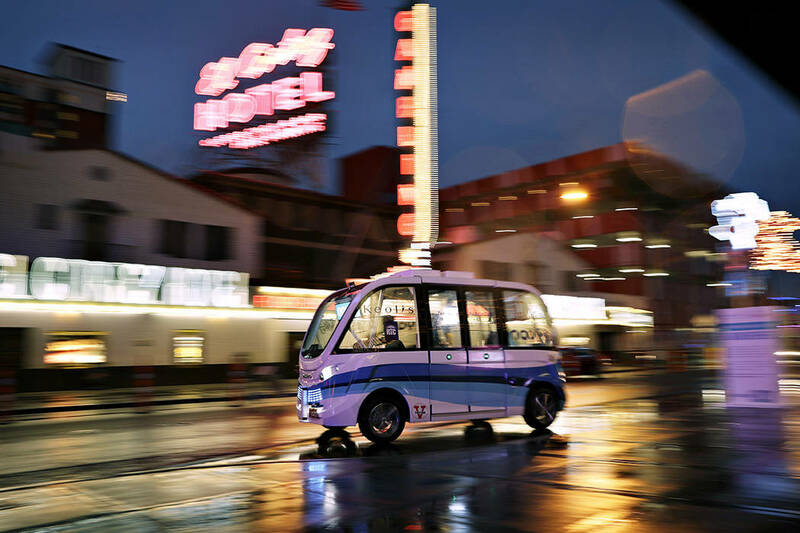 The city has been at the forefront of autonomous vehicle testing around the downtown Innovation District, most notably with the year-long autonomous shuttle program that transported riders around the Fremont East District downtown. The project ran from November 2017 to October 2018, shuttling over 30,000 passengers and netting a 4.9 rating out of 5 stars in the process, according to Joanna Wadsworth, program manager at Las Vegas’ Information Technologies Department. 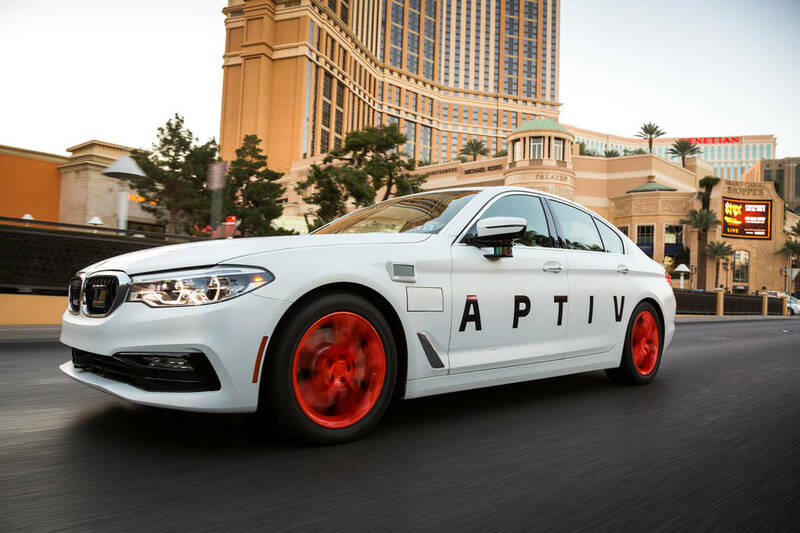 A partnership between Lyft and automotive technology company Aptiv, which offers self-driving rides in BMW 5 Series vehicles, also recently began operating in the downtown area. After a pilot program during CES in 2017, the program widened its scope in 2018, operating on Las Vegas Boulevard south of Sahara Avenue and to the Las Vegas Convention Center during its first year. Wadsworth sees the pilot program and other self-driving initiatives leading to the technology becoming part of the permanent transportation future in the city. “I think it’s a recognition that transportation and mobility is shifting and so to be able to work on these projects and provide input, it will prepare us for the future,” Wadsworth said after briefing the RTC’s FAST Operations Management Committee meeting. Proving that is a partnership between the city and the Regional Transportation Commission of Southern Nevada. The planned Go Med project involves operating autonomous shuttles on a fixed route stretching from the Bonneville Transit Station downtown to the Las Vegas Medical District, and incorporating smart technologies such as connected bus shelters and pedestrian safety measures via vehicle-to-vehicle technology. In December the U.S. Department of Transportation’s Better Utilizing Investments to Leverage Development (BUILD) Transportation Grants program awarded $5.3 million to the RTC for the project. U.S. Transportation Secretary Elaine Chao announced the grant award in December, as part of $1.5 billion in discretionary grant funding to 91 projects in 49 states and the District of Columbia. “BUILD transportation grants are major investments in road, rail, transit, and port projects that serve as a down payment on this administration’s commitment to America’s infrastructure,” Chao said in a statement released in December. The Go Med project will feature four autonomous shuttles, three on the road at all times, with one staged at the Bonneville Transit Center in case one needs to be switched out. Passengers will be shuttled around the medical district and to the transit center, linking them to the RTC bus system. The project is aimed at improving travel throughout the medical district for patients and medical personnel alike. The shuttle route may also incorporate the Premium Outlet Mall, according to city plans. The Go Med program still needs various approvals before the groundwork can be conducted to even prep the system to get underway. The project is about two years away from going live, Wadsworth said. Aside from the Go Med project, the city is also looking at utilizing a self-driving vehicle incorporated in the Downtown Loop route, which is currently served by a driver-operated shuttle bus. The dedicated short range communication sensors (DSRC) placed throughout the Innovation District make that all possible.